New Delhi: Prime Minister Narendra Modi urged people not to take antibiotic medicines without a doctor’s prescription. “The habit of taking antibiotics can create a big problem. It may give relief for some time, but you should never take an antibiotic without doctor’s prescription,” Modi said in his radio programme ‘Mann Ki Baat’. Self-medication in the use of antibiotics can lead to antibiotic resistance, he said. “Government is committed to stop antibiotic resistance. You must have noticed that antibiotic medicine strips have a red line to warn you,” the prime minister said. He also urged people to be alert and prevent the spread of dengue which usually breaks out in the rainy season. “Dengue can be prevented. 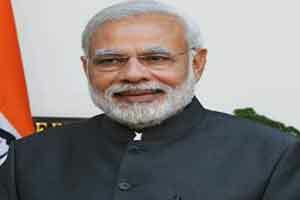 We must be alert about cleanliness,” Modi said. “You must be seeing advertisements on T.V., but sometimes we are indifferent. Government, hospitals and doctors will do their work, but you must be alert that dengue does not enter your household,” he said.